Michael B. Jordan has made a career out of playing good guys in movies, whether as the good-natured Steve in Chronicle, the well-meaning Johnny Storm in the disastrous Fantastic Four, or a young boxer with a heart of gold in Ryan Coogler’s Creed. But Jordan’s latest collaboration with Coogler is sending him over the line, apparently, with the announcement that he’ll be playing villain Erik Killmonger in the upcoming Black Panther. We already knew Jordan was likely to be in the film, but it wasn’t clear what role he’d be playing. All was revealed at today’s Marvel Comic-Con panel, though, with Jordan taking the stage alongside Coogler, star Chadwick Boseman, and co-stars Lupita Nyong’o and Danai Gurira. Killmonger is one of those classic comic book archetypes, an evil mirror version of Boseman’s T’Challa, gifted with the same mystical power that gives him his strength. Nyong’o, meanwhile, will also be trying on the whole villainy thing, taking the role of Malice, a spurned member of the Panther’s order of bodyguards/prospective wives, the Dora Milaje. (Technically, she’s just being listed by Malice’s non-villain name, Nakia, so she might not be evil yet.) Gurira will play Okoye, a loyal member of the same group. 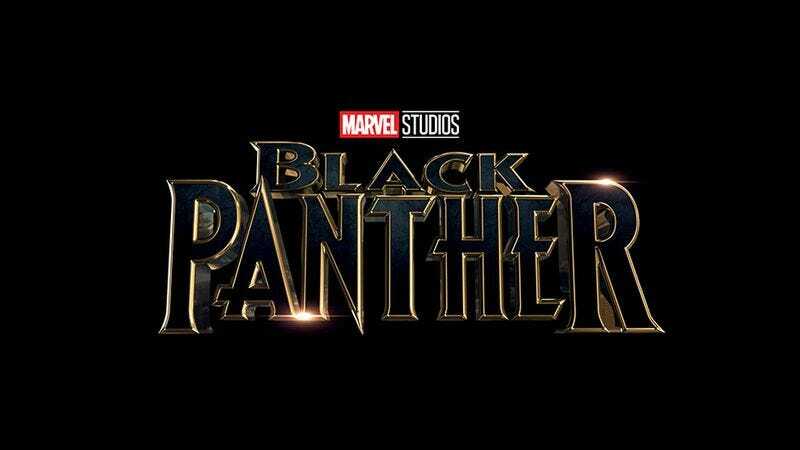 Marvel’s Kevin Feige couldn’t show off any footage from the movie—it doesn’t start shooting for another five months—but he did deploy a new logo, along with promises that Coogler and Boseman were both excited to tear into the part.